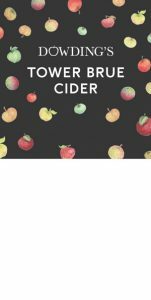 Dowding’s Apple Juice and Tower Brue Cider is from trees in and around Shepton Montague. They have their own trees, but also are given loads of apples by people who have multiple trees with no use for them. Wild Orchard apple juice is a blend of dessert and cooker apples, highly rated by all who drink and/or sell it. The varieties of apples are often unknown to the tree owner! 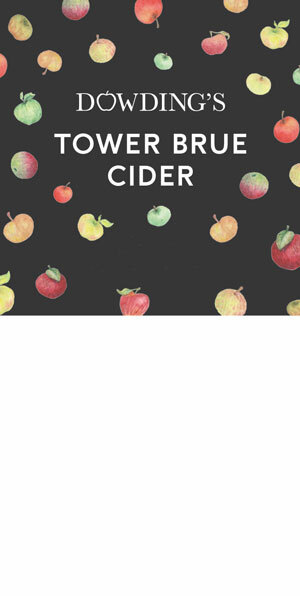 The Tower Brue cider is dry and acclaimed by those who drink it! You can buy the apple juice (boxes of 12 bottles) and cider (five or 10 litre bag-in-a-box, with a 500cl bottle option due shortly), direct from the premises, or via mail order. Delivery can be arranged if local and convenient.